Sanam Baloch is a Pakistani renowned actress and television host and anchor Person. She was born in Karachi and started her debut through Sindhi-language television channel KTN as a talk show anchor. She got graduation from Karachi University. Sanam has two brothers, Farhan Baloch and Abbas Baloch. She is the younger sister of Sabreen Hisbani, who is also an actress. She hosted on Hum TV as a morning show “Morning WIth Hum”. Her Famous Serials in which she has acted include Doraha, Band Khirkion Ke Peechey, Noorpur Ki Rani, Mannchalay and Dastaan. 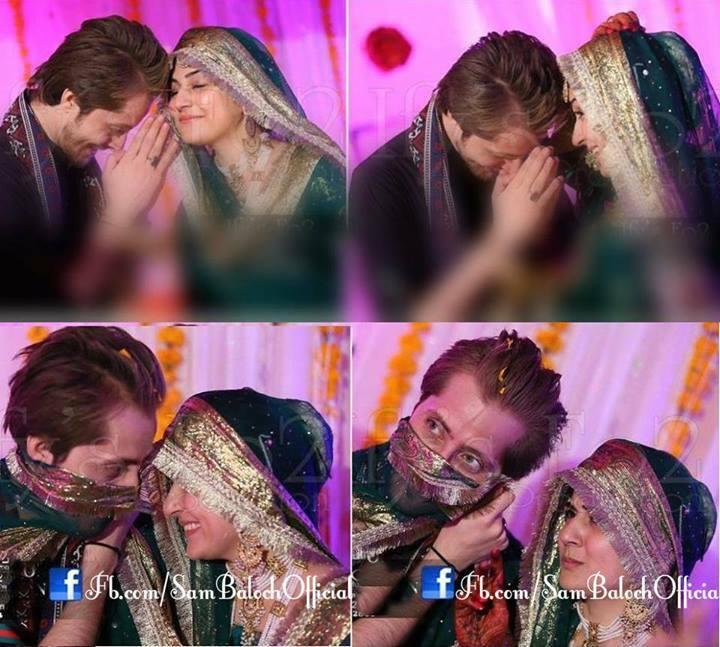 Here we are sharing Sanam Baloch Shadi Pics with Abdullah Farhatullah. Her all Wedding Pics, photos, images are exclusive and most fascinating. 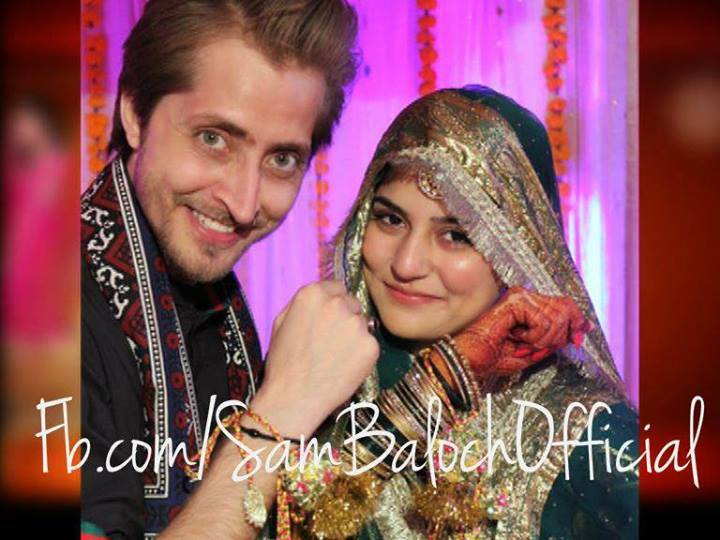 So have a look of all pics of Sanam Baloch. 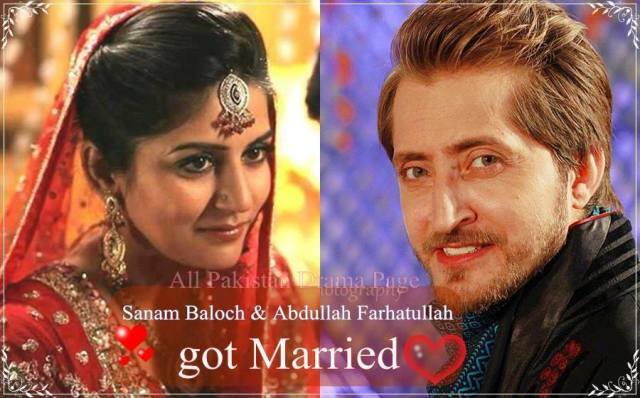 Sanam Baloch has been successful from the first day of his career. 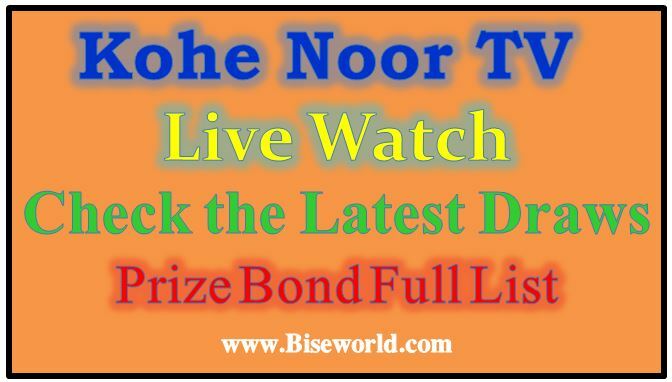 All this fame was not new for her as she has been popular in Sindhi television. Pakistani actress Sanam Baloch started her career in Sindhi television channel KTN immediately after completing her matric. Sanam Baloch because of her lively nature and innocent face became so popular that people would climb over one another just to get the glimpse of her when she used to go to Sindhi speaking areas like Larkhana. Sanam Baloch was launched by Fahad Mustafa also known as Sunny Tunio. Pakistani actress very proudly accepts this fact and thanks Fahad Mustafa for everything she has today as an actor.